I’m a little slow on updates, but Foxhole released Well Kept Thing in September. 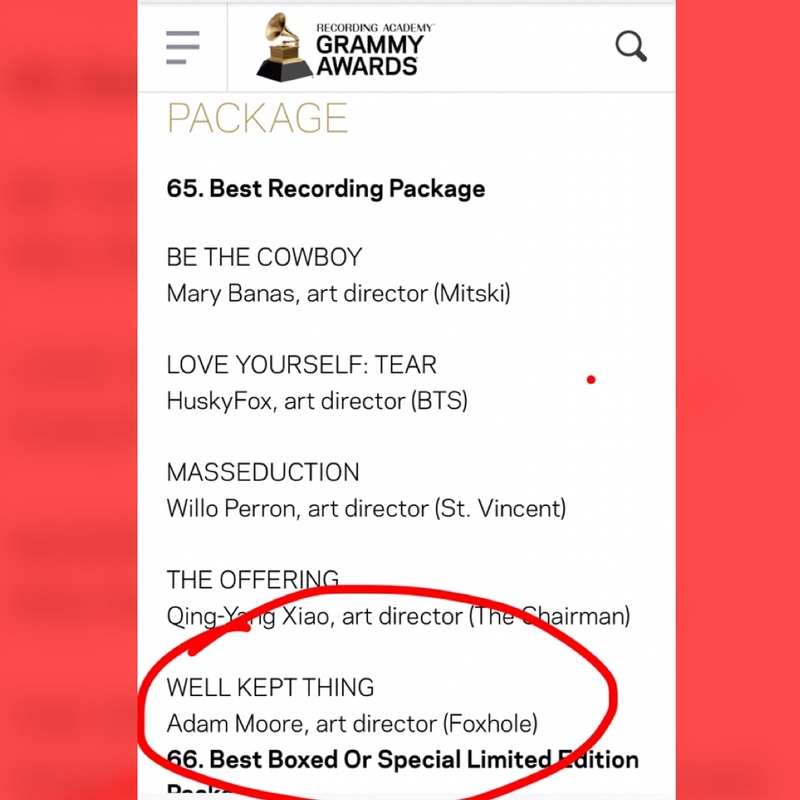 Subsequently, Adam Moore’s excellent artwork and design was nominated for a Grammy in the Best Recording Package category. 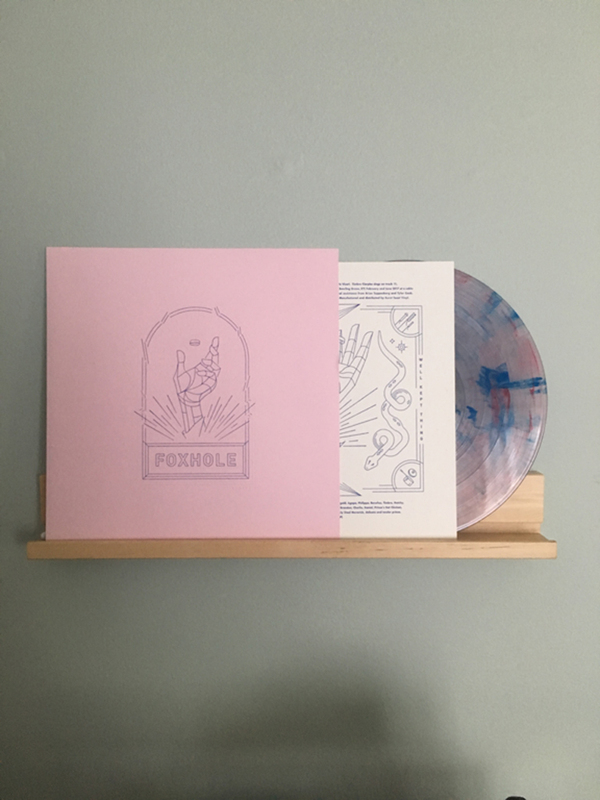 The LP features a letterpressed image on deluxe French Paper cardstock that was printed by Stumptown Printing in Portland, OR with a letterpressed insert printed by Will at HYMY Industries and a clear LP with red, white, and blue marbling.